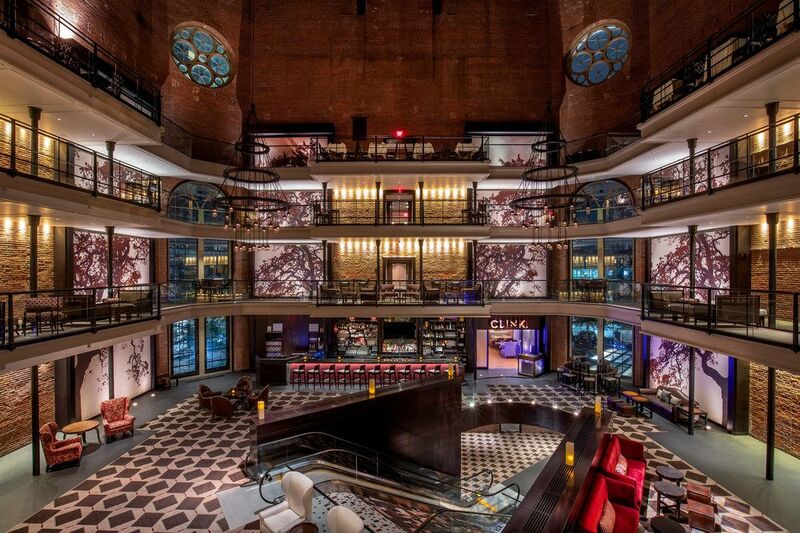 Holiday cheer runs deep at hotels in the United States. Undoubtedly, the decorations are a sight to see and a fun family event for travelers during the holiday season. Here are a few of our top Christmas Hotels in the US, and what they have to offer during Christmas time. 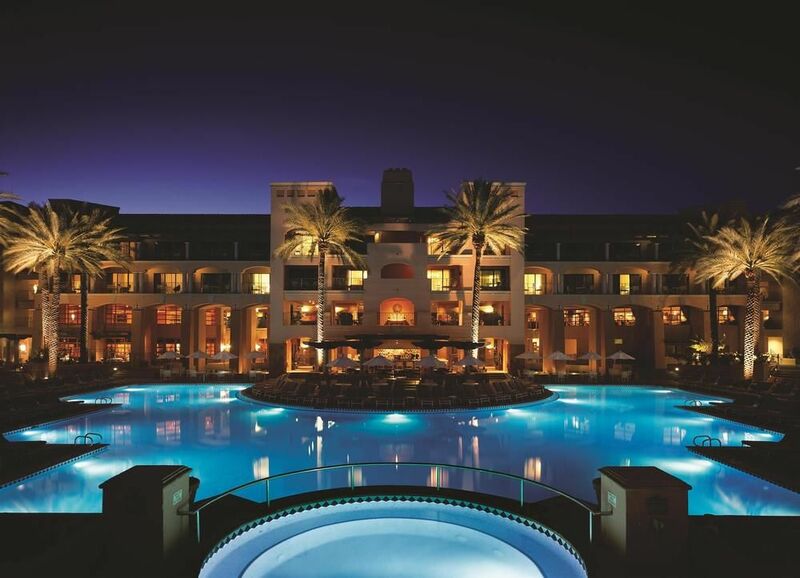 The Fairmont Scottsdale leads the pack in over the top Christmas hotels The hotel started their Christmas at the Princess tradition in 2010 and since then it has grown immensely. Several holiday experiences are available for the whole family. Such as, the Princess Express Train, Dessert ice Skating Rink, and the Holiday Lagoon Lights. The hotel features a whopping 4 and a half million lights and a dancing Christmas tree that puts on show to 17 different holiday songs. 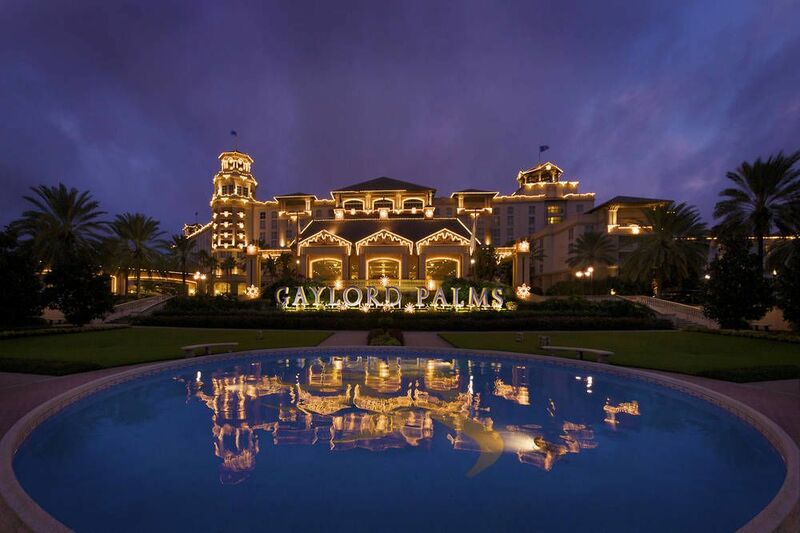 Gaylord Palms Resort in Kissimmee, Florida is right in the middle of the attraction capitol of the U.S. The resort is most known for its annual ICE! showcase. You are given parkas upon entering the below freezing room featuring gigantic ice sculptures centered around the years theme. At the end of the tour visitors exit with a ride down the ice slide. This year’s theme is the classic movie A Christmas Story. 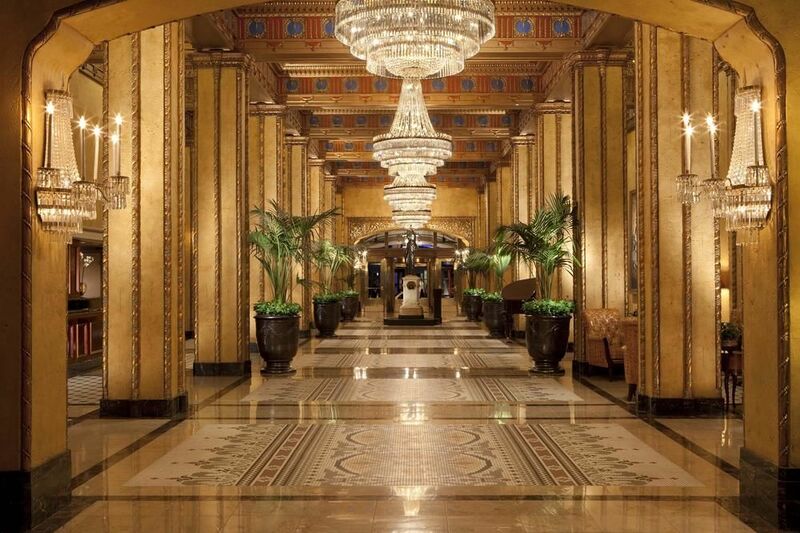 The Roosevelt New Orleans is celebrating its 125th anniversary of the Teddy Bear Tea Party. This event is for the kid in all of us. Santa and Mrs. Claus greet you upon arrival. Then you are treated to a plethora or teas accompanied by pastries and other sweet treats. The hotel also holds an event for the lighting of the lobby. The block long lobby transforms with 112,000 lights, 1610 feet of garland, 300 bows and 40 Christmas trees. What more could you want out of Christmas? Escape the cold and experience Christmas along the California coast. 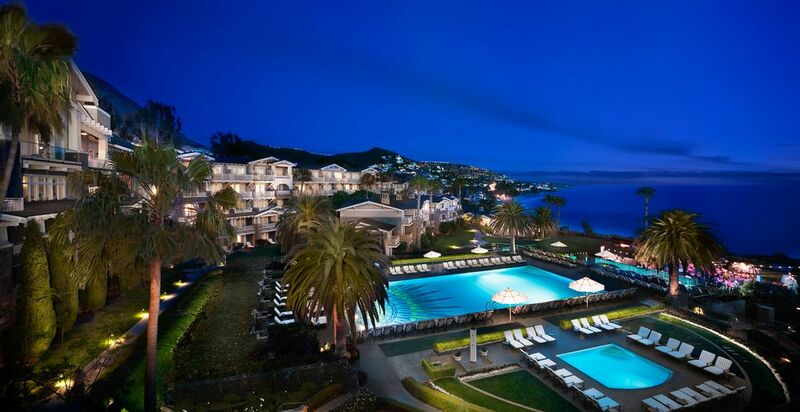 The Montage Laguna Beach offers you a pristine view of the water paired with a 35-foot Christmas tree. The hotel goes all out for your kids during the holiday season. Children can partake in Santa’s Workshop activities like stocking decorating, scarf making, and snow days! Santa will even tuck your youngster in at night, or you can have a personal stocking delivered on Christmas day. This jail turned hotel has a unique take on Christmas spirit. During the holiday season the hotel hangs Christmas trees upside down from the ceiling.You can also enjoy a Christmas eve and night dinner at the oh so punny Clink restaurant. As well as, practice your curling skills on Mondays and Thursdays. A Christmas getaway here is bound to be thrilling.